"Take a walk on the wild side", by Jos Lambregs. 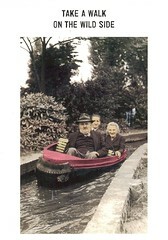 A Postcrossing Postcard from Miek in Belgium. Next Next post: "Bygone Hull"